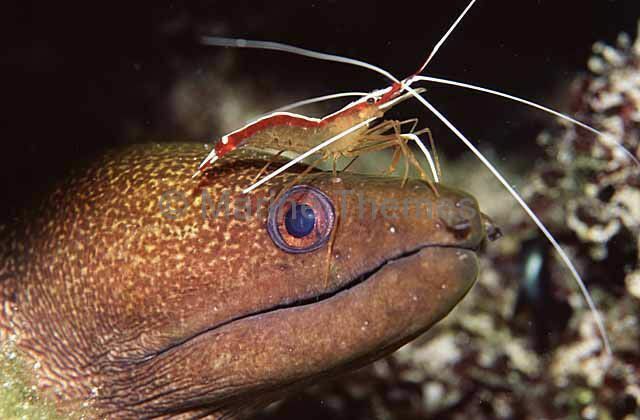 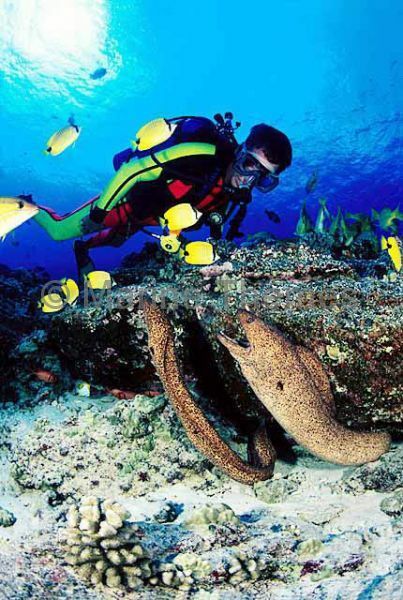 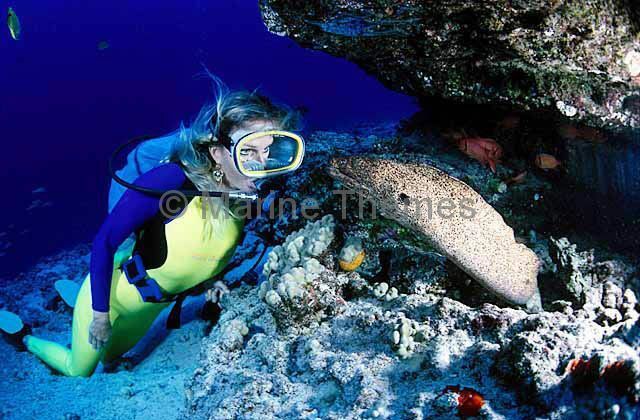 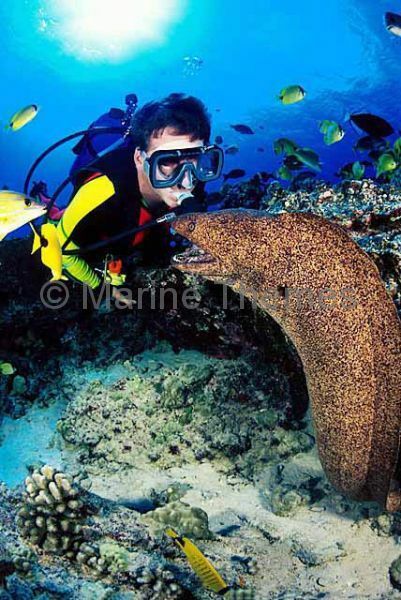 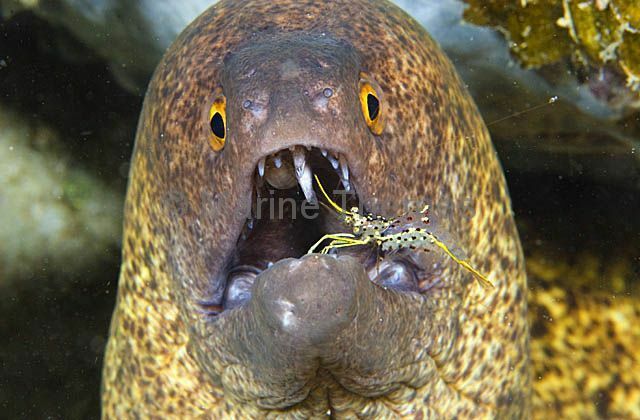 Yellowmargin Moray (Gymnothorax flavimarginatus) and diver. 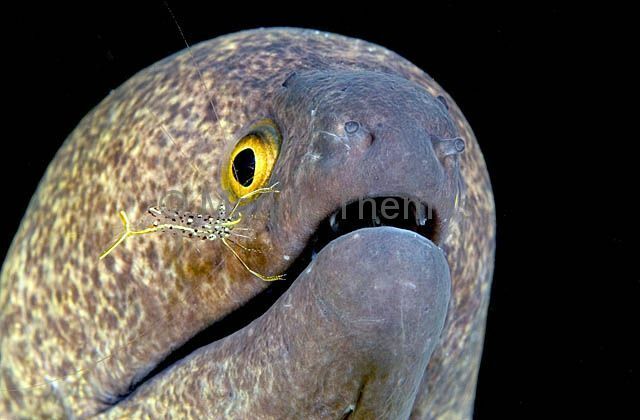 Yellowmargin Morays (Gymnothorax flavimarginatus) and diver. 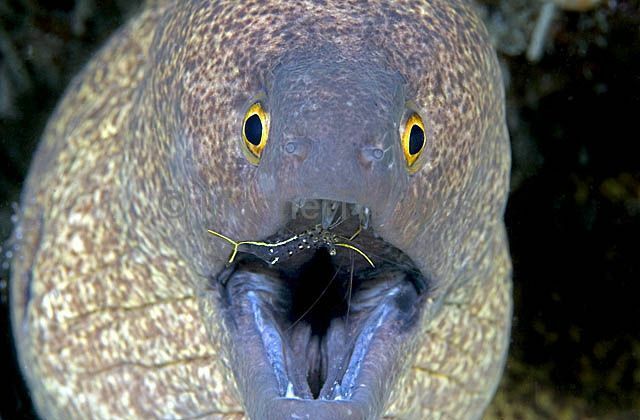 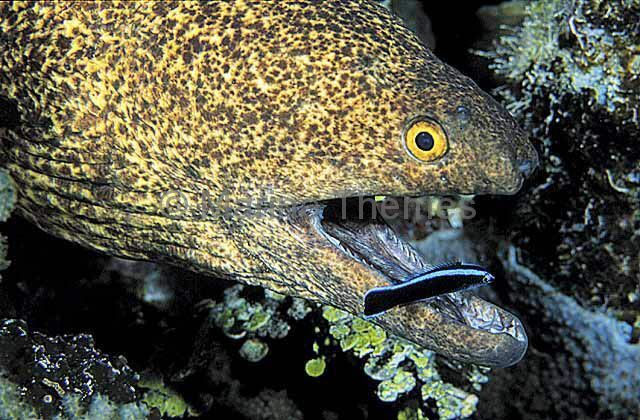 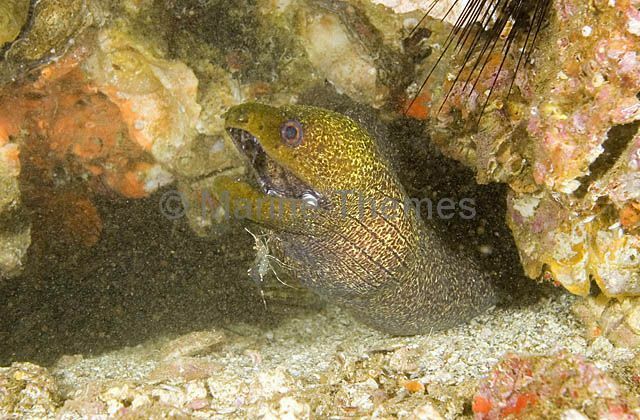 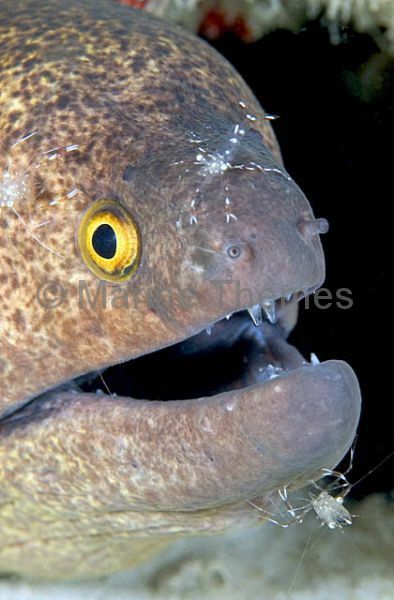 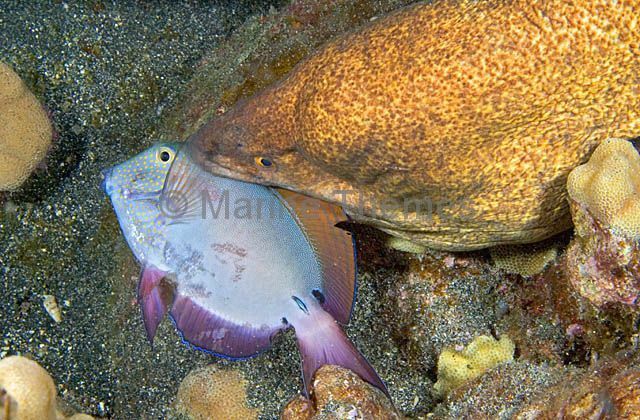 Yellowmargin Moray (Gymnothorax flavimarginatus) eating a Surgeonfish at night on coral reef. 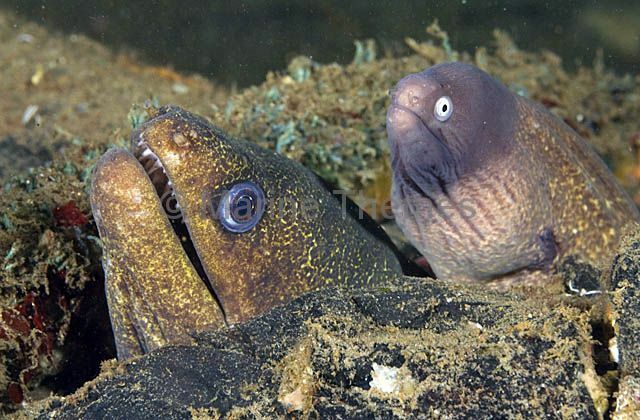 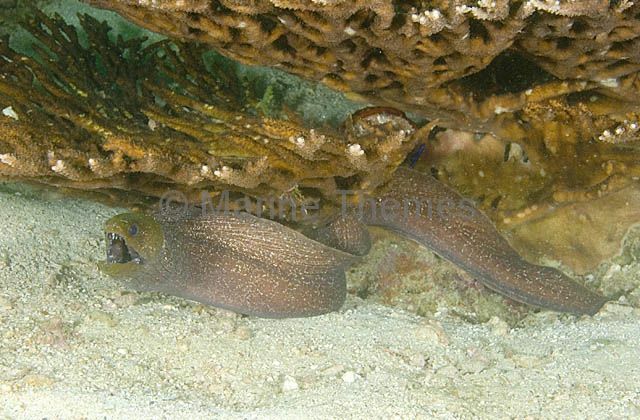 Yellowmargin Moray (Gymnothorax flavimarginatus) and Greyface moray (Gymnothorax thyrsoideus) sharing a crevice in coral reef. 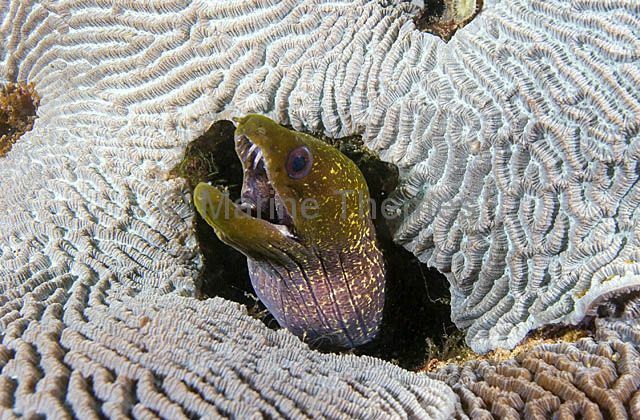 Yellowmargin Moray (Gymnothorax flavimarginatus) sheltering under Acropora plate coral.